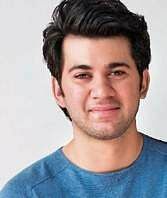 The release date Sunny Deol’s upcoming directorial venture, Pal Pal Dil Ke Paas, starring his debutant son Karan Deol, has been pushed once again. The release date Sunny Deol’s upcoming directorial venture, Pal Pal Dil Ke Paas, starring his debutant son Karan Deol, has been pushed once again. The film was earlier slated to release in December, 2018 but was deferred to February 14, 2019. We now hear that the film will take even longer to reach completion and will arrive in theatres in mid-2019. Pal Pal Dil Ke Paas is a romantic drama film set in the snowy landscapes of Northern India. Principal photography began as early as May, 2017; the film has been primarily shot in Manali, Gurugram and Delhi. The makers faced numerous delays due to unpredictable weather conditions and harsh thunderstorms. At present, Deol is shooting the remaining portions of the film, including the action scenes, at a studio in Mumbai.